The General Assembly‘s human rights committee – the Third Committee – has concluded its seven week session by adopting 57 resolutions, several of which focus on critical human rights challenges and reassert the importance of fundamental freedoms. The ISHR – as usual – provides an excellent account of key highlights and outlines how these texts will finally be signed off on by the General Assembly Plenary. Several key resolution negotiations and outcomes are outlined below. This is not the end of the road for these resolutions, however. Costs of any activities and staffing included in these resolutions will now be considered by the General Assembly’s finance committee – the Fifth Committee – before all resolutions are finally signed off by the General Assembly Plenary in the third week of December. States have the opportunity to change their mind on resolutions ahead of final decision-making by the Plenary. Freedom of peaceful assembly and association – Introduced by the US as a one off, this Third Committee resolution is essentially an ‘omnibus’ text, drawing on language agreed in relevant General Assembly and Human Rights resolutions – including those related to human rights defenders and the safety of journalists. The new resolution speaks of the need to protect journalists and media workers, including when covering demonstrations, both online and offline. It condemns violations and abuses against peaceful protestors on the basis of their political opinion or affiliation. The resolution does not specifically reference the work of the UN Special Rapporteur on Freedom of Peaceful Assembly and Association – a given in most such thematic resolutions. This, in the context of the US’ withdrawal from the Human Rights Council – the body that creates such rapporteurships. During negotiations, the US withstood pressure to include a greater number of references to sovereignty and the importance of national laws, amongst other suggestions. A vote was called on the draft resolution by China, Russia, Bolivia, Venezuela, Iran, Belarus, Nicaragua and Syria. The text received strong cross-regional support however, with a final tally of 140 in favour, 0 against and 38 abstentions. ISHR calls on States that voted against the resolution on freedom of peaceful assembly and association or abstained, to give this key resolution its support at the GA Plenary stage. Whilst the negotiation process during the Third Committee session could have allowed for greater input from interested parties, the final resolution is strong, and the thematic focus is an important one, in particular in an era of undue restrictions on the exercise and defence of the freedom of peaceful assembly and association. Extrajudicial and arbitrary executions – A listing of those most vulnerable to extrajudicial and arbitrary execution in this resolution, became the focus of heated exchanges between States. This year, divisions between members of a State grouping resulted in a fracturing of the group position. The Organisation of Islamic Cooperation (OIC) introduced an amendment to delete the listing. When Albania – an OIC member – made clear the amendment was not being presented in their name and, therefore, there was no group position, other States were able to break rank. This included Tunisia, Lebanon and Turkey. The amendment was defeated by a vote of 86 -50 with 25 abstentions. ..Protecting children from bullying – Bullying ‘includes a gender dimension’ and is ‘associated with gender-based violence and stereotyping’, concluded the Third Committee through this consensus text. The resolution includes strong language on the need to protect all children from and includes agreed language of the most recent CSW on the family. Violence against women and girls – With a focus on the experience of women human rights defenders, States are called on to prevent violations and abuses against all women defenders with specific condemnation of gender-based violence, harassment and threats (both online and offline). US amendments related to the references to sexual and reproductive health and sexual education were defeated on the basis that these would change agreed language. The US ultimately disassociated itself with those paragraphs. Child, early and forced marriage – Last-minute amendments to include sovereignty language into a resolution focusing on sexual and reproductive health and rights, introduced by the US, were voted down. 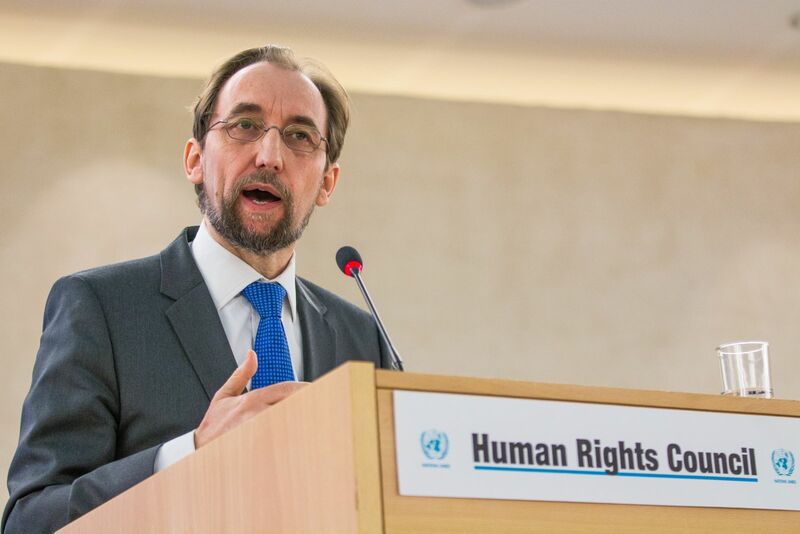 Myanmar – Key decisions by the Human Rights Council are echoed by the Third Committee in their resolution, including in regard to the establishment of an investigative mechanism to facilitate criminal proceedings in regard to allegations of violations of international law. This said, several elements are missing in the Third Committee text, including references to the ICC and to journalists detained by the Myanmar government. This year’s resolution gained 20 more votes than last year, passing 142 – 10 with 26 abstentions. Critics included Russia, China and Laos, who spoke to what they considered the ‘illegitimacy’ or ‘irrelevance’ of country resolutions. Japan explained its abstention on the basis that Myanmar should carry out its own investigations (albeit with international community support). Myanmar noted that it was the most scrutinised country- citing ‘at least seven mechanisms’ with a monitoring role- at a cost of 28.6 million USD per year to the UN. Myanmar is a ‘struggling democracy facing many challenges’, noted the representative, comparing Myanmar’s treatment to that of Yemen which, it claimed, didn’t receive the attention it should. Iran – In this resolution introduced by Canada, Iran is urged to end its harassment, intimidation and persecution of human rights defenders, including minority, students’ rights and environmental defenders as well as journalists, lawyers, bloggers, media workers and social media users, and to halt reprisals against them. ISHR, along with several national, regional and international NGOs called on States to vote for these (and other) calls. Autonomous Republic of Crimea and the city of Sevastopol, Ukraine – Ensuring and maintaining a safe and enabling environment for journalists, media workers, human rights defenders and defence lawyers in Crimea, is a key call in this resolution which passed 67-26, with 82 abstentions. Syria – Recalling resolutions adopted by key mechanisms and bodies across the UN system from 2011 onwards, this latest Third Committee resolutions references concern about a range of issues including chemical weapons attacks, rapes, enforced disappearances, the crackdown on journalists and media and other human rights violations. The resolution, introduced by Saudi Arabia, passed with much support with 106 votes in favour, 16 votes against and 58 abstentions. The Human Rights Council in Geneva sends a report to the General Assembly outlining decisions taken in the previous twelve months. Controversially, this report is considered first by the Third Committee and a resolution on the report drawn up by the African Group. This year a vote was called on the resolution by Israel to signal their opposition to the standing item on the Council agenda on Israel. Ultimately, the resolution passed by 111 – 3, with 65 abstentions. ISHR hosted a Third Committee side event in coordination with Amnesty International on Tuesday, 23 October titled ‘Protecting human rights defenders: Reflections on the 20th Anniversary of the Declaration.’ Featured on the panel were Michel Forst, UN Special Rapporteur on Human Rights Defenders; Julia Cruz, a lawyer from the NGO Conectas Human Rights, Brazil and Eleanor Openshaw, New York Director at ISHR. 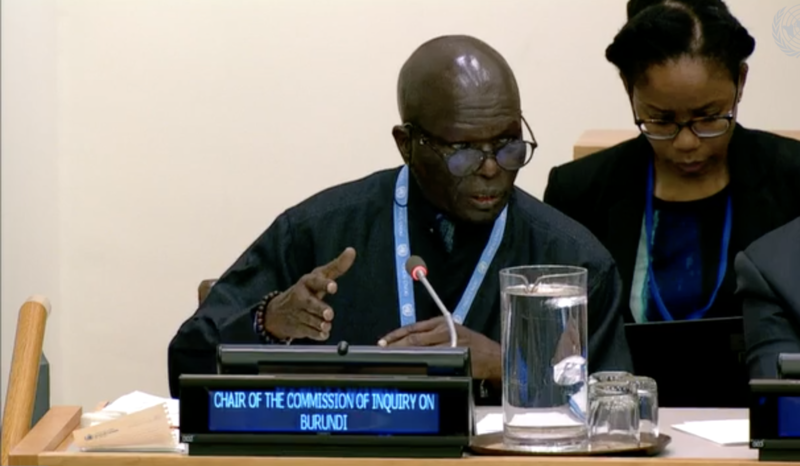 Coming directly from presenting his annual report to the Third Committee, the Special Rapporteur and other panel members addressed contextual questions from electoral violence to good practices in protection policies and legislation as well as implementation of the UN Declaration more broadly. During the event, Forst spoke of the importance of the UN Declaration, which he calls ‘a manifesto for the human rights movement’. It speaks of the ‘central role of everyone within society in the realisation of human rights for all,’ Forst noted. 1/ The tactic of disassociation from paragraphs of resolutions that a particular State dislikes, has continued this session. The US called a vote on a paragraph in the draft resolution on violence against women and then – when the vote went against them – disassociated themselves from the paragraph anyway. It could be argued that this approach avoids calls for votes on entire texts, instead isolating areas of contention from those around which consensus has been reached. However, it does undermine the value of the text and overall efforts to move human rights consensus forward. It is highly dispiriting to see this tactic being increasingly employed. 2/ The confirmation that draft resolutions can only be introduced in the name of individual States rather than a grouping – as emerged during the back and forth on the text on extrajudicial executions – should provide dissenters within a State grouping with more leeway to resist pressure to conform with positions they disagree with. 3/ Sovereignty arguments were presented by several States during the negotiations of a fair number of draft resolutions. These were successful in some negotiations, such as in regard to the death penalty, and were successfully rejected in others. The drive to foreground and repeatedly reference sovereignty in texts is likely to continue, and efforts to contest it need to be well-coordinated and arguments refined. “[…] I share your concern about the increasing violence against human rights defenders in Colombia. As you mention in your letter, the UN Office of the High Commissioner for Human Rights (OHCHR) has confirmed that 73 social leaders were killed last year. It is verifying a further 11 cases. A disproportionate number of those killed are linked to disputes concerning land restitution. Some also appear to have been targeted for speaking out for the rights of local and indigenous communities. Please be assured that our Embassy in Bogota continues to monitor the situation on the ground closely. ..Yet the council is a lot better than the commission was, and is still improving. The most important difference is the system of “universal periodic reviews” that all members of the UN are subjected to, at a rate of about 40 a year. The number of special rapporteurs, most of them truly independent, has risen, too. Since 2011 there have been investigations into human-rights abuses in Burundi, the Central African Republic, Eritrea, Iraq, Ivory Coast, Libya and North Korea, as well as Gaza. The council has steadfastly monitored the horrors in Syria and played a helpful role in Myanmar, Colombia and (after a poor start) Sri Lanka. The disproportionate focus on Israel is lessening. From 2010 to 2016 only one special session was held on Israel/Palestine, down from six in the previous four years, says the council’s spokesman. The share of time spent on Item 7 has halved, to 8%. The quality of members may improve, too, as regional groups are a bit less willing to shield their own. Last year Russia lost its seat, receiving 32 votes fewer than Hungary, and two fewer than Croatia. In the past few years Belarus, Iran, Sri Lanka, Sudan and Syria have failed to be elected or have withdrawn their candidacies. None of the nine worst human-rights offenders, as ranked by Freedom House, a Washington-based NGO, (Syria, Eritrea, North Korea, Uzbekistan, South Sudan, Turkmenistan, Somalia, Sudan and Equatorial Guinea) has ever been elected to the council. In a telling moment in 2014, a forcefully critical resolution on Sri Lanka was passed. Things started to change in 2010, says Marc Limon, a British former official in the council, who now heads the Universal Rights Group, a Geneva-based think-tank, when a clutch of independent-minded countries, including Mauritius, Mexico and Morocco, began to vote more freely, often for American-backed resolutions. Before then, members of the 57-strong Organisation of Islamic Co-operation (OIC) and the African Group (whose members often overlapped and later reconfigured as the Like-Minded Group) “virtually controlled the council”, he says. Anti-Westerners have recently been defeated or forced to compromise on several issues. A resolution to exempt blasphemy from free-speech protections was fended off against the wishes of the Like-Minded. The same group failed to block a resolution to appoint an independent expert to investigate discrimination against gay and transgender people. American diplomacy under Barack Obama was a big reason for the shift…. In relation to my post of 26 November [https://thoolen.wordpress.com/2015/11/26/unfortunately-the-un-voted-on-the-resolution-on-human-rights-defenders/] there is an interesting development. South-African media, NGOs and human rights defenders (e.g. http://www.timeslive.co.za/thetimes/2015/11/27/We-join-the-bullies) criticized heavily the position taken by Government in voting against. Today Barry Bateman reports that the South African government appears to have done an about-turn on its position and will now support the resolution when the matter is referred to the full General Assembly in the next few days. The Department of International Relations says the Africa group of members’ states had about 39 proposed amendments to the resolution following intense negotiations. The department raised concerns around the definition of a human rights defender, the responsibilities placed on sovereign parliaments and issues of NGO funding. It says the resolution’s main sponsor introduced oral amendments at the last-minute without informing South Africa. These amendments rendered the country’s concerns redundant.